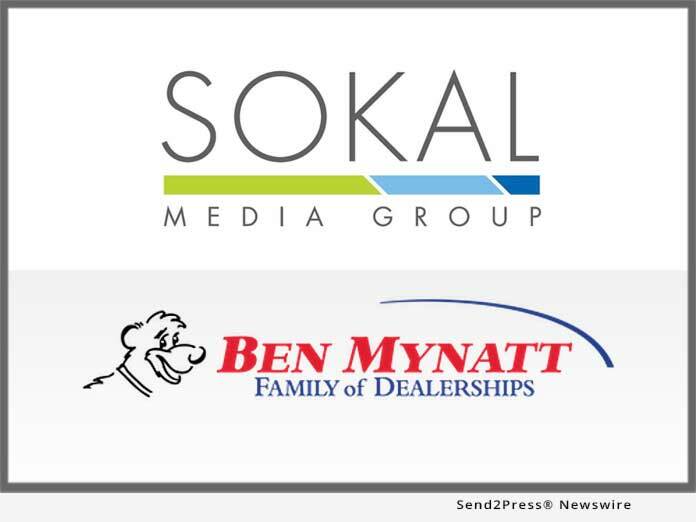 RALEIGH, N.C., Jan 24, 2019 (SEND2PRESS NEWSWIRE) — Automobile advertising agency, Sokal Media Group, is proud to be the new agency of record for the Ben Mynatt Family of Dealerships. Ben Mynatt Family of Dealerships has reputation for honesty, fairness, and service. The group includes Ben Mynatt Nissan in Salisbury, Ben Myatt Preowned in Kannapolis, Ben Mynatt Buick/GMC and Ben Mynatt Chevrolet/Cadillac, both located in Concord. Executive Manager, Todd Rakes, expressed his anticipation of the new partnership. “I’m looking forward to this new chapter in our dealership group. With the professionalism of our staff and the creativity of Sokal Media Group, this looks to be a winning combination. We’re ready to get rolling!” commented Rakes.